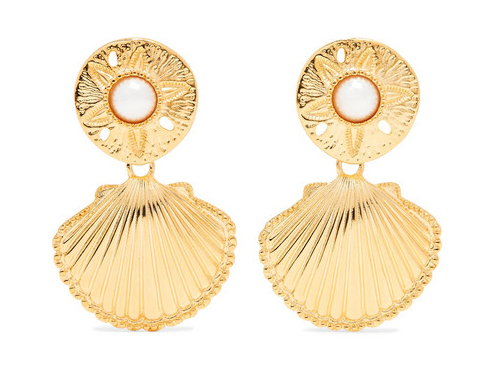 Neola Design, Minerva Pearl Earrings, £89. Available here. 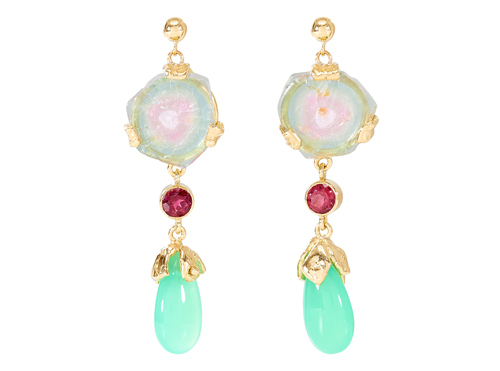 Earrings by Samira Jafari using ethically-sourced gemstones from Jewels of Queensland, POA. Available here. 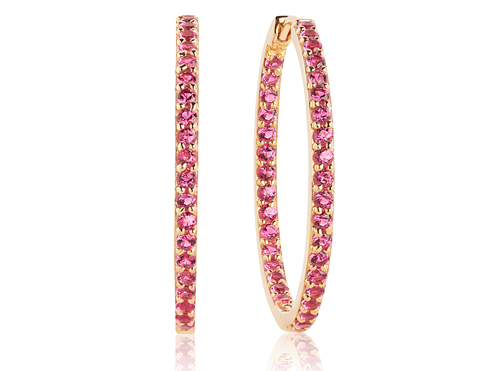 Annoushka, Turquoise Duo Hoop earrings, £1,690. Available here. 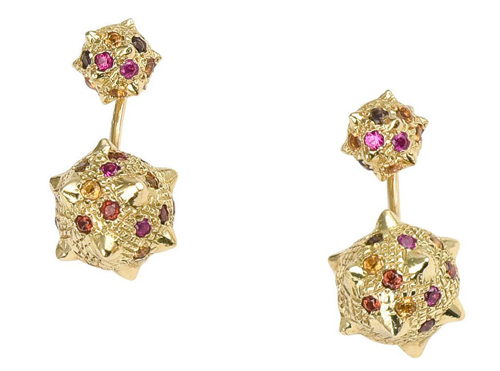 Ellis Mhairi Cameron, XXXVIII earrings, £2,795. Available here. 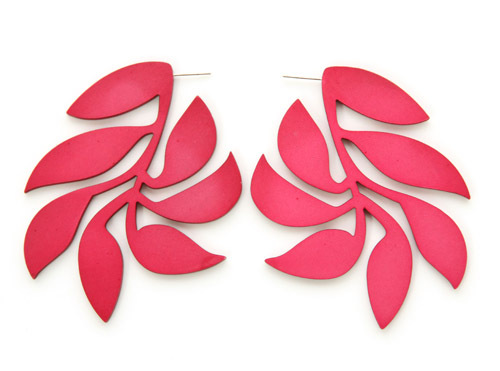 Maria Kotsoni, Morning Star ear jackets, £3,006.24. Available here. 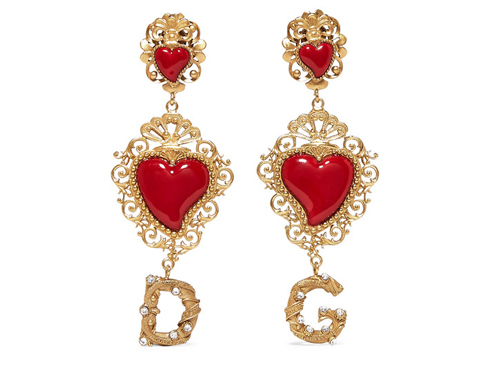 Dolce & Gabbana, crystal clip on earrings, £675. Available here. 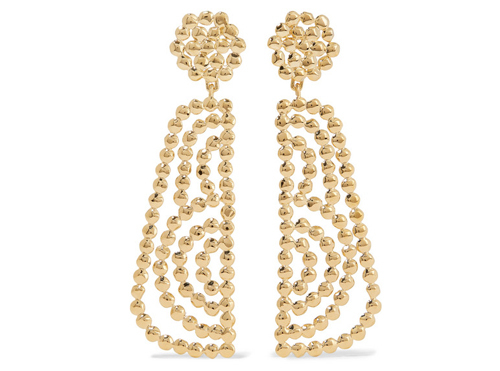 Chloé, Valeria earrings, £525. Available here. 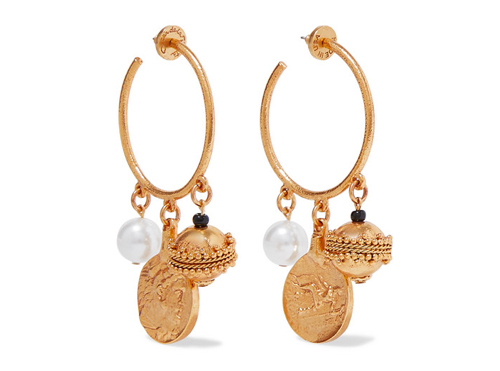 Oscar de la Renta, gold tone faux pearl earrings, £241. Available here. 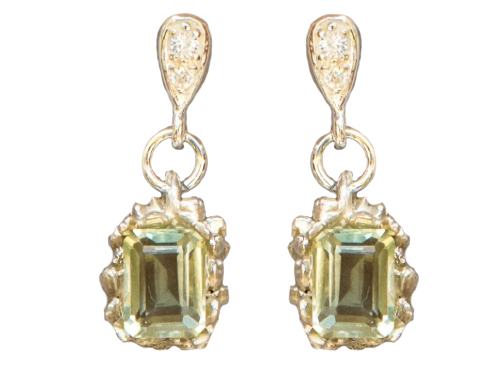 Dainty London, Green Quartz earrings, £270. Available here. Kenneth Jay Lane, gold tone faux pearl clip earrings, £90. Available here. 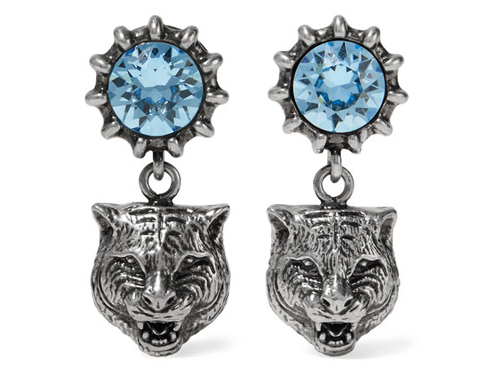 Gucci, silver tone aquamarine earrings, £265. Available here. 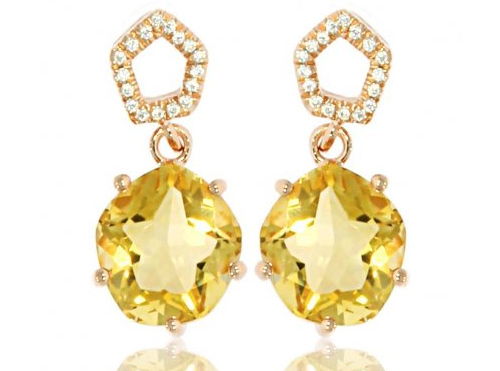 XSJ London, Enchant Citrine earrings, £149. Available here. 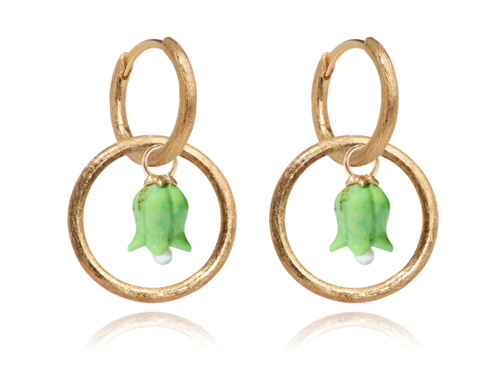 Sian Evans, Gymnosperms earrings, £315. Available here. 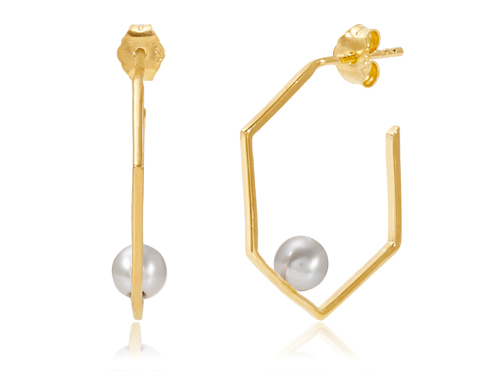 Sif Jakobs Jewellery, Bovalino earrings, £159. Available here. 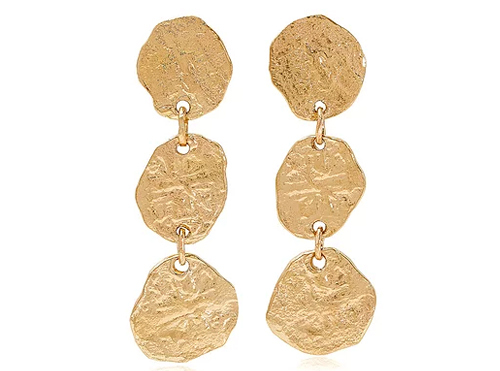 House of Ava, Sloane Red Carpet earrings, £895. Available here. 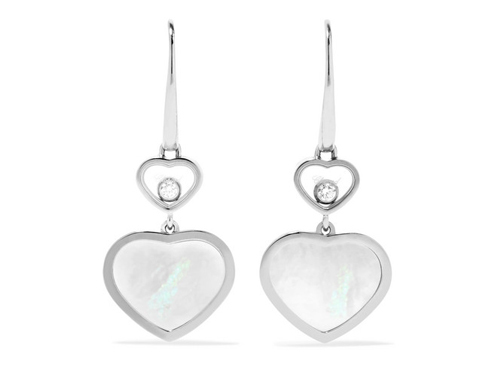 Chopard, Happy Hearts earrings, £2,510. Available here. 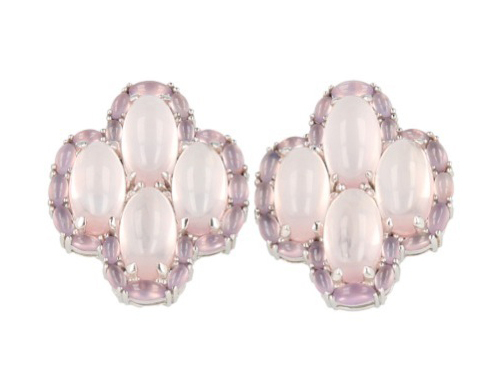 Lemuria Jewels, rose quartz & lavender chalcedony earrings, £900. Available here.